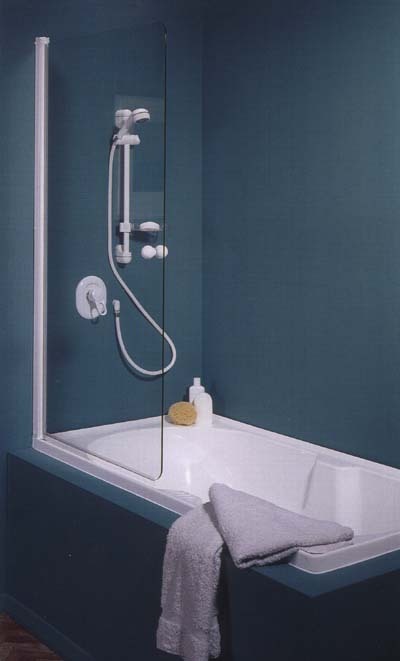 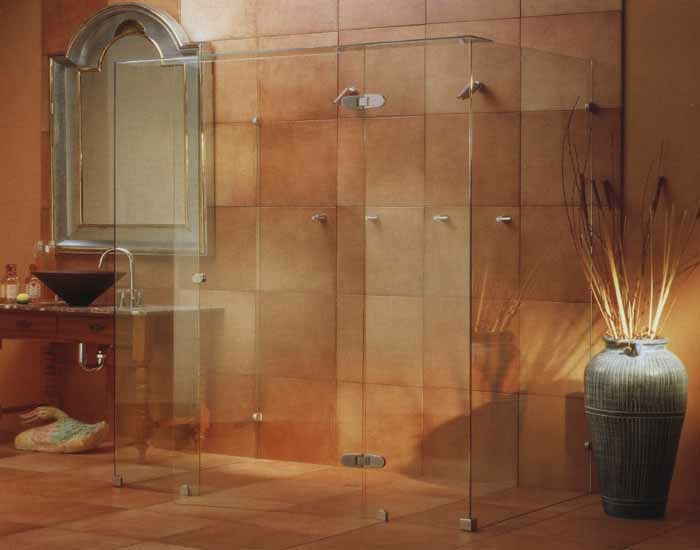 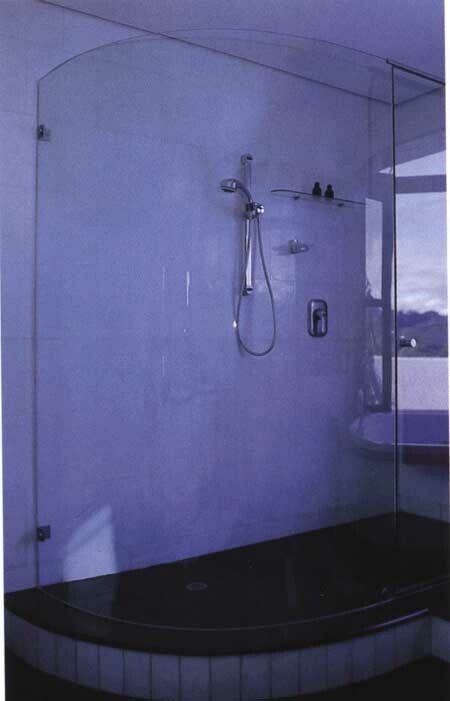 Frameless Toughened Glass Showerscreen wtih chrome patch fittings. 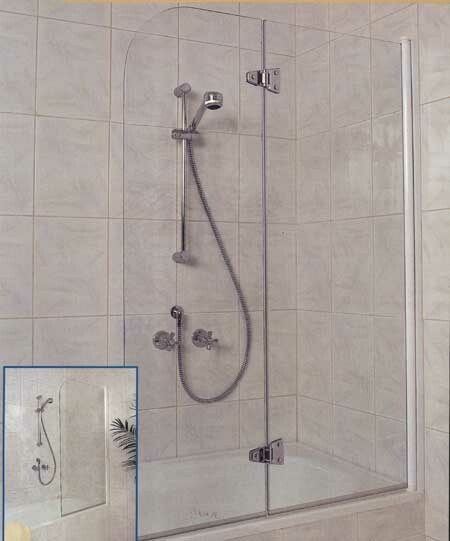 Toughened bent glass can also be used in windows and partitions. 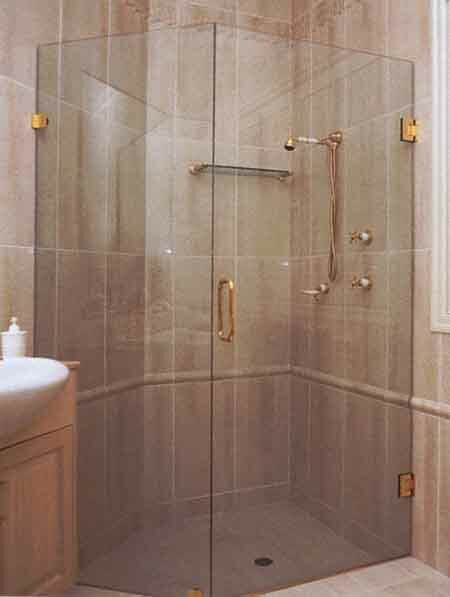 Frameless Showerscreen with gold patch fittings.